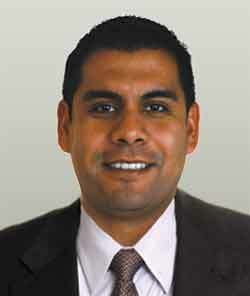 Julian Ruelas is a Brookwood shareholder and a Los Angeles-based advisor and subconsultant to the firm. His background is a diverse mix of design/construction management, finance, contracts and business development. Prior to joining Brookwood, Julian was a Tenant Coordination Administrator with Macerich working with incoming tenants to the REIT’s west coast regional centers. During this period, he participated in development of internal procedures for the management of construction and for developing landlord relations with tenants, architects, engineers and contractors. Julian has worked with a great variety of national and local tenants in municipalities throughout the western US. Prior to Macerich, Julian held positions in the areas of finance/accounting, contract review and business development. Julian holds a Bachelor of Arts degree in History from the University of California at Santa Barbara.